Complex in nature, we help you make the right decisions – decisions that save you money. Accurate balance sheet, profit and loss and cash flow statements best represent a company’s health and wealth. Set-Up, Clean-Up, Training or Software Support, our Advanced Certified ProAdvisor has what it takes to help. We believe proper business consulting and planning comes from building relationships with our clients. Let’s face it. Almost anyone can crunch numbers for you, but your business may need more. If you’re a business owner looking to partner with an experienced accounting, payroll and business service provider – and want “Big Client Service”… Look to us. 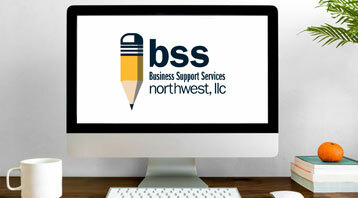 ​We’ve proudly provided Bellingham, WA and Pacific Northwest businesses with exceptional, accurate, and affordable (employee) payroll services, monthly business reports as well as QuickBooks® support/training and business consulting for 25 years. Our Bellingham based team has provided Northwest small business owners with accurate, affordable payroll support and monthly business reports for over 25 years. Make informed decisions, with confidence, from numbers you can trust. Specializing in QuickBooks® Pro, Premier, Enterprise, Point-of-Sale and QuickBooks® Online, our Advanced Certified Intuit ProAdvisor is dedicated to helping you get the most out of the feature rich QuickBooks® software. Preparing reliable forecasts, budgets, and tracking expenses are major areas of concern for small business owners. Our goal is to better understand your needs and map out, together, the best plan to suit those needs.